You probably saw the press conference. 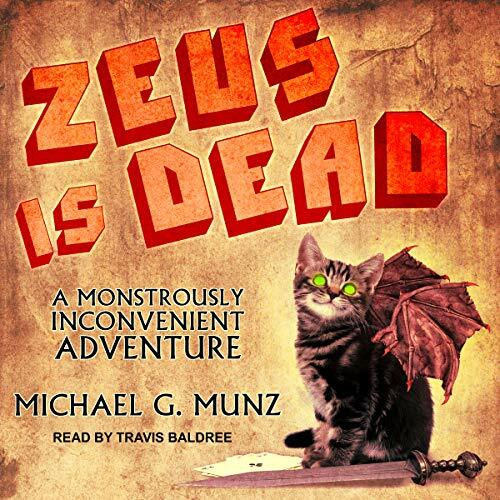 Nine months ago, Zeus' murder catapulted the Greek gods back into public life. Now, the whole pantheon revels in new temples, casinos, and media empires - except Apollo. An overachiever with a bursting portfolio of godly duties, the amount of email alone he receives from rapacious mortals turns each day into a living hell. Yet, whoever murdered Zeus will certainly kill again to prevent his return. Can Apollo escape the murderer when he doesn't even know who they are? Can he do it before the muse gets cranky? Do the venomous bat-winged kittens terrorizing Nevada have anything to do with anything?